We offer a selection of Island of Krk luxury villas with pool, some of which are on the coast and some in more rural area of the island. In many cases villas are built away from the coast, in some of most beautiful rural parts of the island. Surrounded by olive groves or vineyards, meadows and centuries old oak trees, luxury villas offer a holiday with a difference. Wake up in the morning and breathe in the smell of the countryside, have a breakfast on the verandah or a patio, then dip in the pool to cool yourself down. 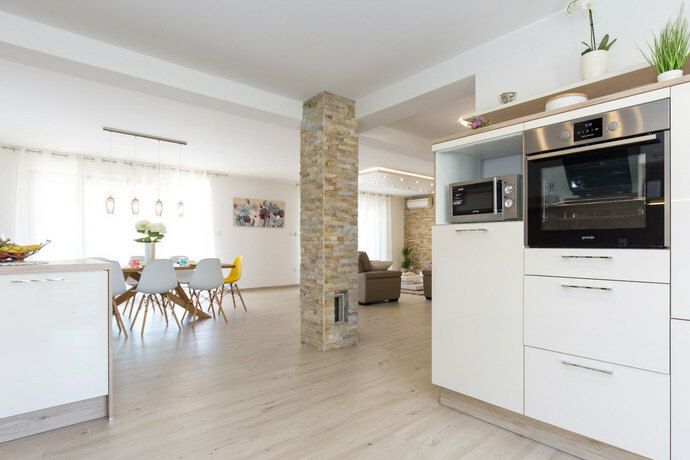 Unless your villa is located at the seafront, if you wish to go to the beach, hop in the car and 10 minutes later there you are there as on Krk you are never more than 10 minutes away from the closest beach or a closest lively tourist town. 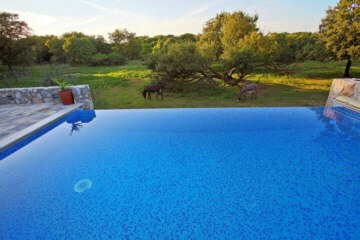 On this page we have prepared a selection of the luxury villas with pool. For more comprehensive listing and pricing visit our Villas and Holiday Houses page. 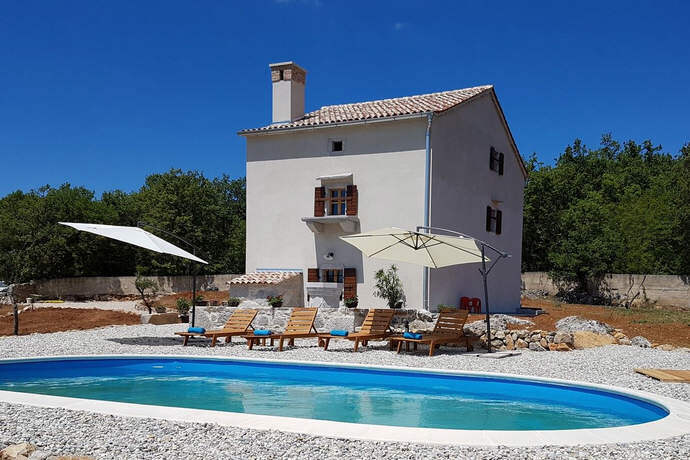 Villa Sara is a modern villa located in hiltop village of Brzac in the most beautiful rural part of Krk Island. The villa can accommodate 8 people. Renovated villa with two spacious luxury apartments. 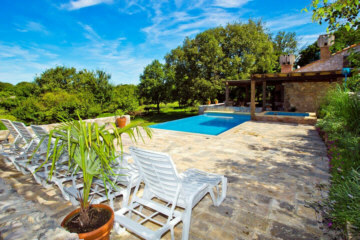 The villa is located in the hilltop village of Vrh, only three kilometers from the City of Krk. Newly restored country house located in the picturesque village of Rasopasno, only 3km from lively Malinska. 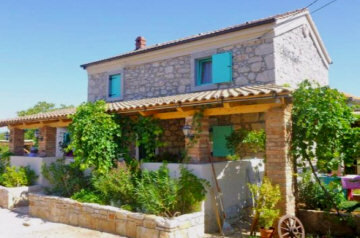 A brand new stone villa with pool, located in the peaceful village of Vrh, only 3.5km from the historic city of Krk. 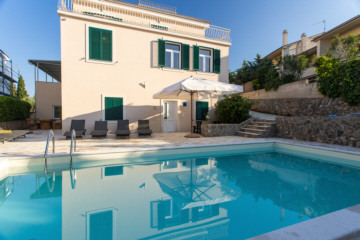 Luxury villa with pool, located in Malinska and only 70 metres from the beach. 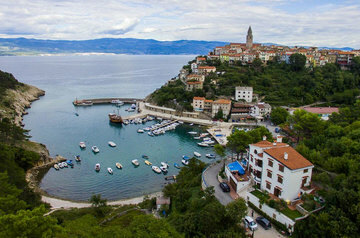 Villa with five apartments located in historic town of Vrbnik right at the seafront. House with six four-star apartments which can each accommodate between four to seven people. 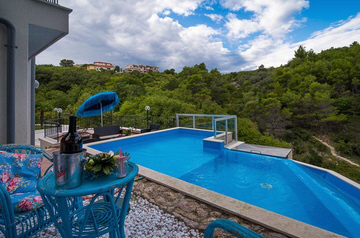 The house is located in the City of Krk and it is only 350 metres (5 min walk) from the beach. Five star villa converted from 19th century farmhouse. 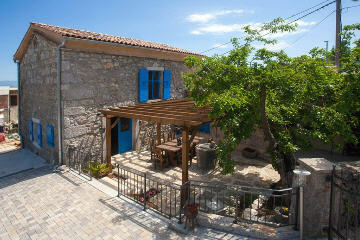 Located in rural area of Krk Island approximately 3km from the town of Vrbnik. 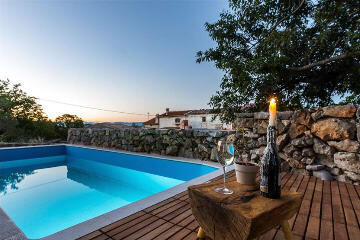 Lovingly restored rural stone house witha pool, located in the historic Vrh village 5 minutes drive from the city of Krk. 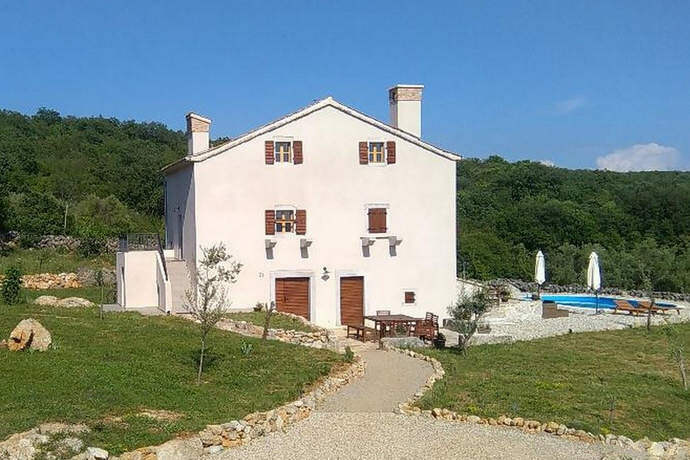 Newly renovated traditional house with pool, surrounded by greenery, located in a rural part of the island of Krk near the village of Bajčić. The villa can accommodate 8 persons.